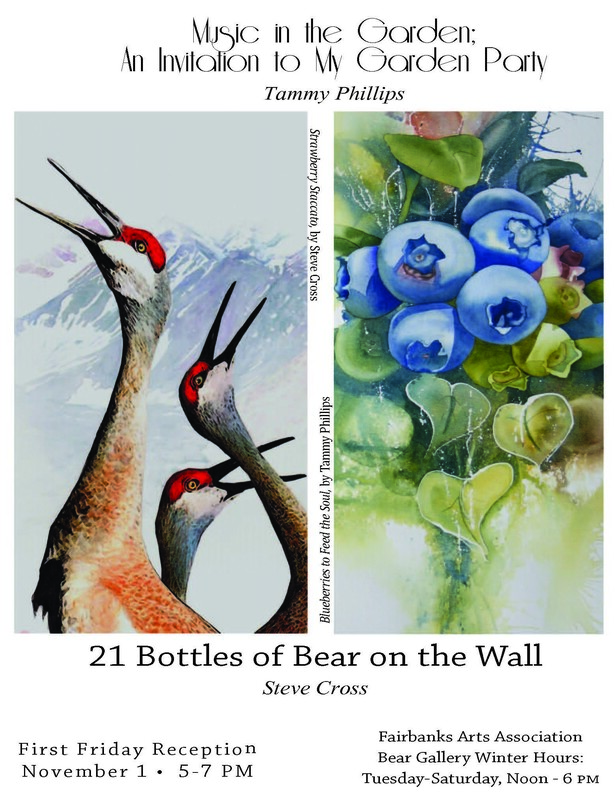 Please join us as we welcome to the gallery Tammy Phillips and Steve Cross. There will be a lively atmosphere with music and refreshments. Opening reception is Friday Nov. 1st from 5 – 7 pm and the exhibit will be on display for the entire month of November. Hope to see you there! For more information please contact Jess Pena at 456-6485 ext. 222 or jess@fairbanksarts.org.